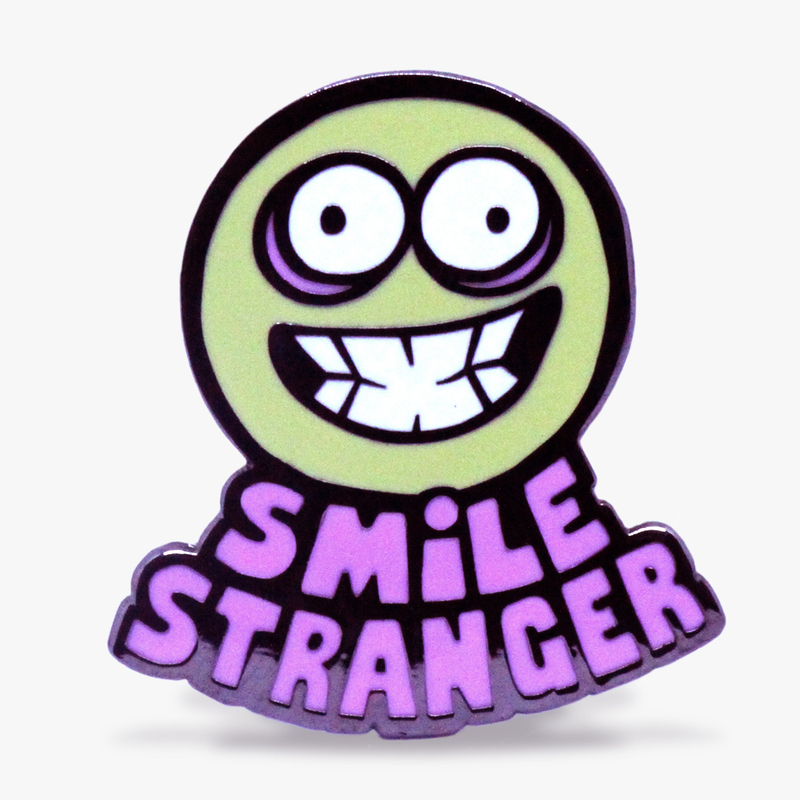 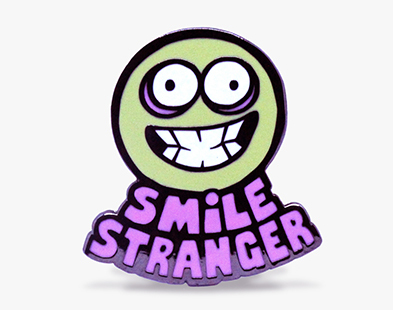 This unnerving hard enamel pin is an original design by Melbourne illustrator Mark Sheard. 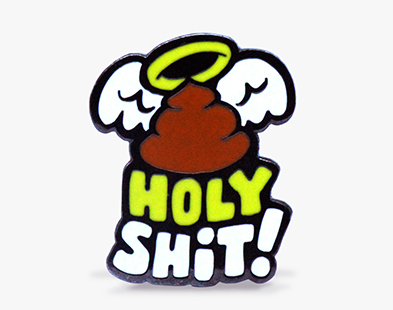 The pin is 35mm high and encased in Black Nickel. 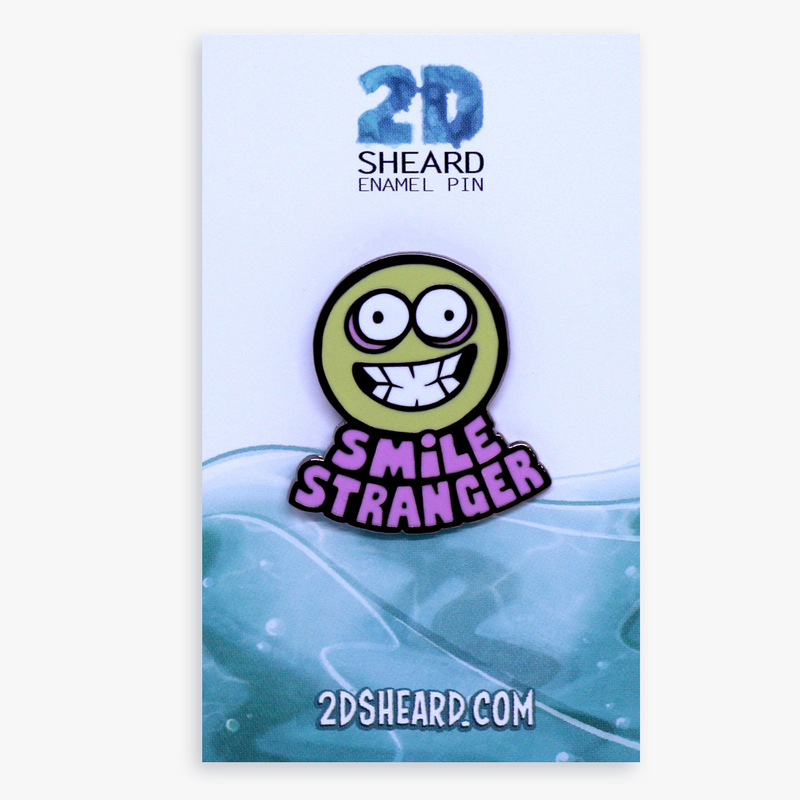 It features an image of a crazed emoji smiling….stranger.